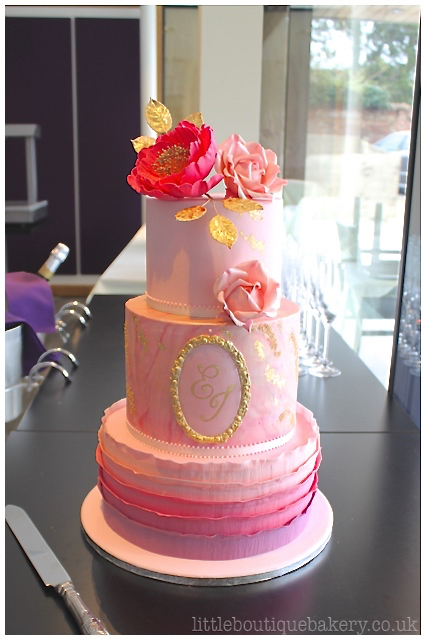 A new bespoke wedding cake design created for an event in East Sussex. 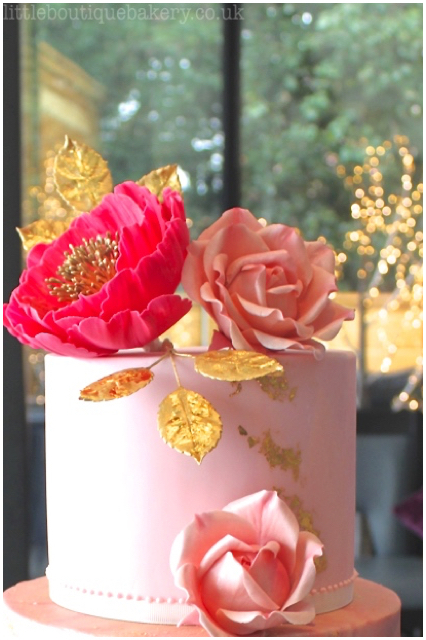 This marble wedding cake design features beautiful hand crafted sugar flowers and sugar frills in pink tones and the addition of edible gold leaf and sparkling texture detail. A gilded initials plaque features on the central marbled tier of this striking design and the large vibrant fuchsia pink peony also has gold leaf covered foliage. This large three tiered cake was created with our Chocolate Truffle cake layered with salted caramel buttercream and our Madagascan Vanilla cake layered with a strawberry preserve & vanilla bean buttercream.